Flat trim moulding accents walls, windows, cabinets, doors and more. In addition to standard trim strips, we offer faux wood trim crafted in durable urethane. Faux wood trim includes a natural grain texture and natural hue, so it can be stained just like wood for truly realistic results. Urethane becomes a fine alternative to wood, as it is non-porous and highly resistant to the effects of moisture. 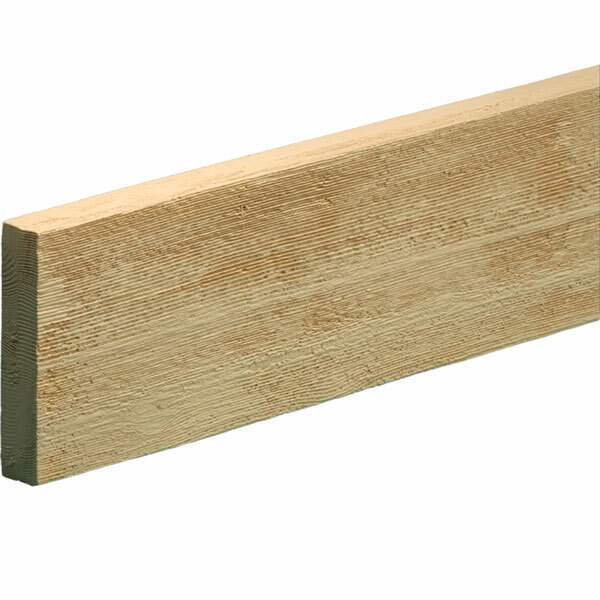 Faux wood trim will not warp, splinter, mildew or rot. In addition, it does not offer a food source to insects. Faux wood trim is precision molded, pre-primed and ready for staining and installation.